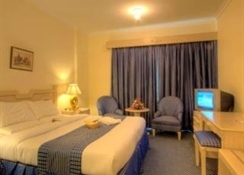 "The hotel is ideally located in the heart of Dubai and is walking distance from the exotic Dubai Jumeirah Beach- the shopping district- financial district- World Trade Centre- Heritage Village- Historical Museum and the Creek. 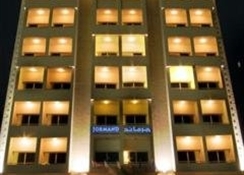 It is approximately 10 minutes from Dubai International Airport. The 98-room hotel features a central location- contemporary design- bilingual staff- a business centre and exceptional comfort which make clients' business and leisure stays all the more special. The hotel features an outdoor swimming pool- a hot tub- sauna and a gym. A continental buffet breakfast is served each morning at the hotel. Lunch and dinner can be enjoyed from buffets- taken à la carte or selected from various menu options. 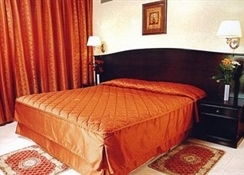 This hotel offers an exquisite blend of elegance and hospitality to ensure the guest's stay a most memorable experience." The 98-room hotel features a central location, contemporary design, bilingual staff, a business centre and exceptional comfort which make clients' business and leisure stays all the more special. The experienced personnel pay careful attention to detail in the service they provide. In addition to a lobby area with 24-hour reception and check-out services, hotel safe and currency exchange desk, facilities available to guests at this air-conditioned city hotel include a cafï¿½, supermarket, hairdressing salon and a restaurant, as well as conference facilities and Internet access in public areas. 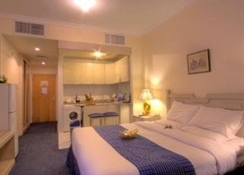 Furthermore, guests can take advantage of room and laundry services. Those arriving by car may leave their vehicles in the hotel car park. Relaxed rooms with modest decor come with free Wi-Fi, cable TV and safes, as well as washing machines and kitchenettes. Some offer balconies. Room service is available 24/7. 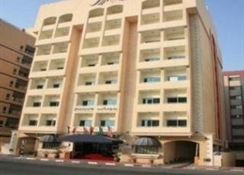 This unassuming hotel with a pastel facade is 4 km from the Dubai World Trade Centre, 9 km from the Burj Khalifa skyscraper and 12 km from Dubai International Airport. There’s an international coffee shop offering all-day dining, as well as a temperature-controlled rooftop pool. 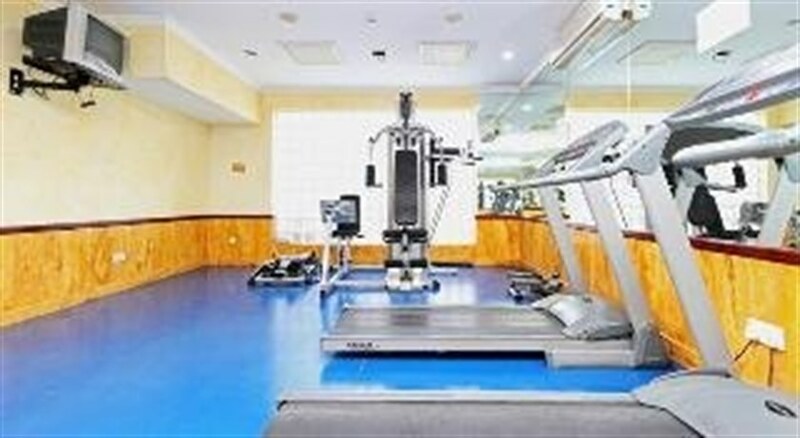 Other amenities include a gym, a sauna, a hot tub and a business centre. Airport transfers, babysitting services and sightseeing tours can be arranged for an additional charge.